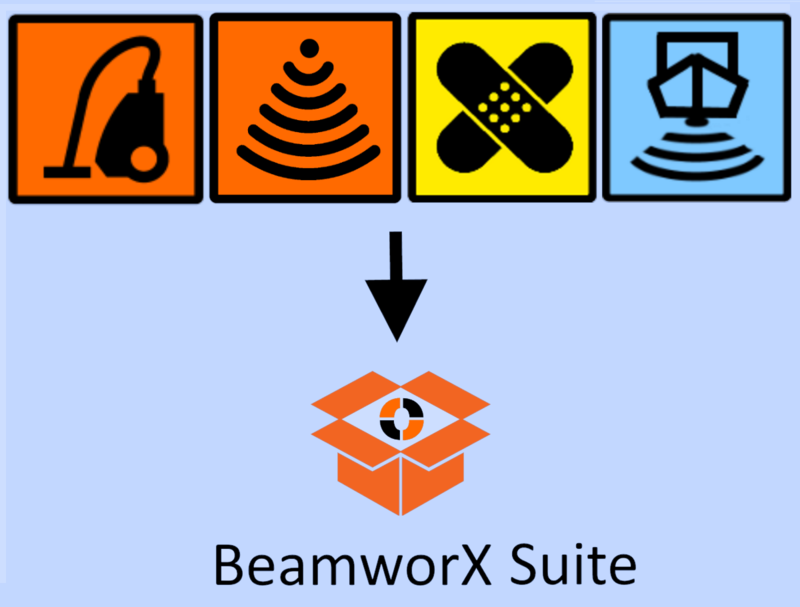 We have bundled our various software programs into a handy all-in-one-installer, simply called BeamworX. The suite includes the main products AutoClean, AutoPatch and NavAQ. The version numbering is very simple, the year of release and the release of that year, this makes the first release 2018.1. Beside the new installer a lot of bug were fixed and functionality was added since the last release (AutoClean Version 1.3, AutoPatch Version 2.1). Below the most important new functionality is described. Subscribed users will have received a download link by email. Please notice that this is a major version upgrade and so the programs will be installed alongside the previous versions. You must manually uninstall these. All the software programs are now installed in a single directory “BeamworX_2018_1. The programs now share the same DLL’s so this saves some disk space. The shortcuts for the main programs will be installed on the desktop optionally. Note that depending on your license you may not be able to use all the installed programs. All programs now support the new Kongsberg KMALL file. This file is currently only used by SIS5 in combination with the latest EM2040P but is likely to be rolled out for other Kongsberg sounder types as well. Supported functions are: reading the result data, the raw data and the Survey Configuration and updating the result data. 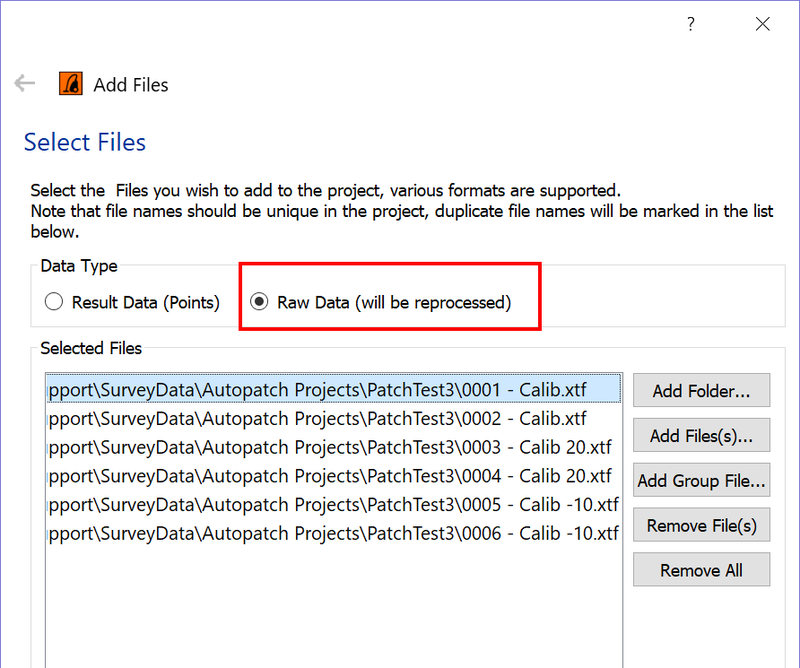 It is now possible to import Raw Survey Data files directly into AutoClean. AutoClean fully reprocesses the data including ray-tracing during import. Features are: flexible Vessel configuration, Different Height modes, SVP, SBET usage etc. Note that this requires the “Raw Processing” option on the dongle. The wizard will guide you in the next pages through the Survey Configuration, Height and SVP settings. When wizard is finished the raw re-processing will be done during the import. For more info check the Raw Processing Page. The programs AutoPatch and AutoClean now support the import of post-processed trajectory data for example SBET or ASCII. But is also possible to create a trajectory file yourself by importing raw position and attitude data. The trajectory can be edited in the new program “Traject Editor”. 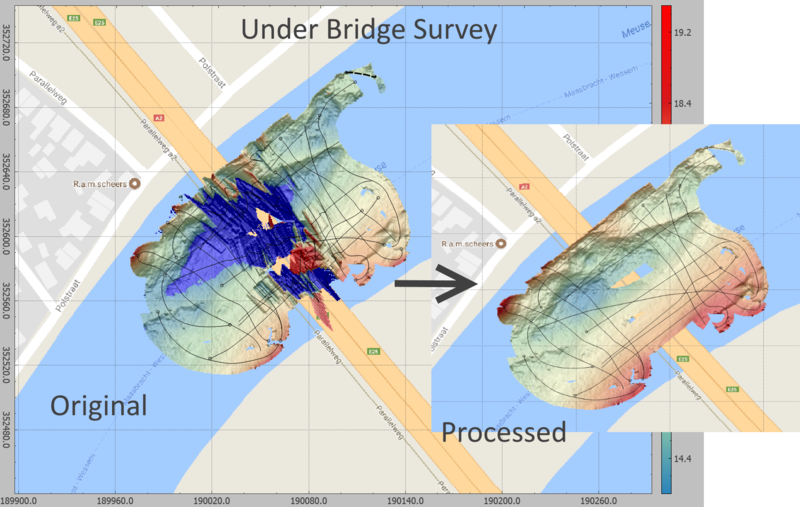 NavAQ is a user-friendly and versatile navigation and data acquisition program for Single Beam and Multi Beam Echosounders. 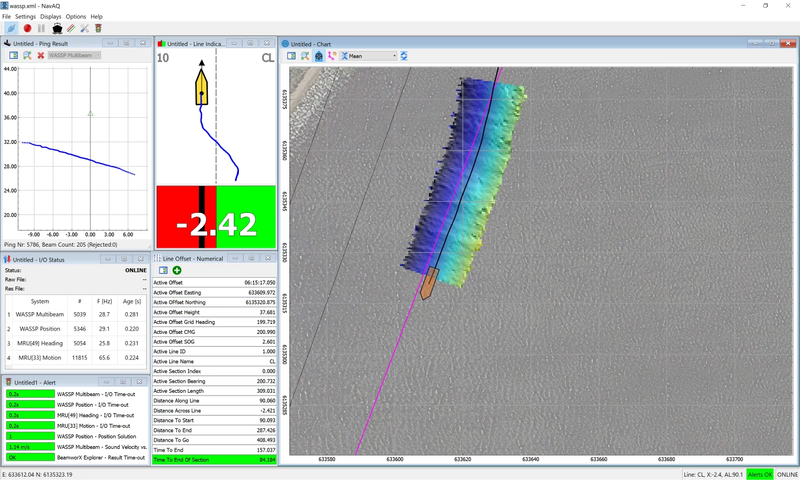 Positioning and Bathymetry results are computed in real-time, and visualized in various displays. All raw sensor data is logged for further processing. The raw and result files that are generated, seamlessly integrate into our other products AutoClean and AutoPatch. NavAQ includes flexible geodetic coordinate conversion routines for most existing Coordinate Reference Systems, including geoid models. Multibeam: Kongberg, Teledyne Reson , R2Sonic, Norbit, WASSP. Motion: Ixsea, SBG, Applanix, Kongsberg, NMEA. Single Beam: Kongsberg, Odom Teledyne NMEA. NMEA position and Generic user defined data.